This one is not domesticated. It was just waiting for me outside my apartment. 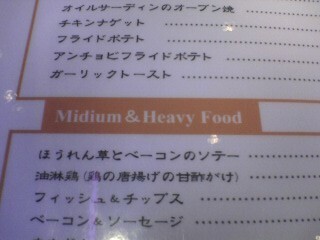 If only they’d spelled it right they could almost have fooled me into believing that something between light food and heavy food COULD be called medium food. 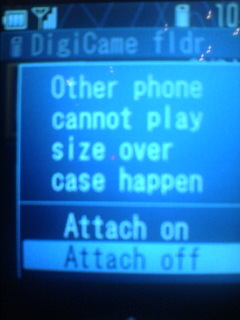 Translation: Some phones may not be able to download this file due to its size. “Please spend time that feeling of luxury overflows with wonderful women by a graceful space”. Today we had some grilled eel on rice, as it is supposed to bring good health for the rest of summer when eaten on July 28. Cheers! “Sobameshi”: a mix of soba, rice and vegetables. Excellent beef, onions, Japanese pumpkin and on the skewers, chicken guts! 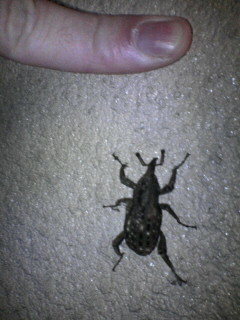 What do we have here? More onions, pumpkin and internal organs, some potatoes, mushrooms, chicken, mutton, fish, shellfish, devil’s tongue, squid, and octopus!!! Of course, it wouldn’t be complete without pork tripes! Don’t get me wrong here, I love that food. You get used to it after a while. If you wanna see what a Japanese BBQ looks like, take a look at the photo album! I saw this mannequin wearing a yukata outside a pachinko parlor last night. I really wish Japanese women would all wear it like that! You are currently browsing the ☆MY BLOG☆僕のブログ☆MON BLOG☆ blog archives for July, 2005.